The company will be launching a set in early 2012. 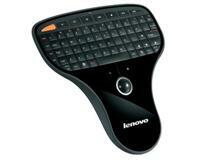 When it comes to controlling an HTPC or compatible smart TV, Lenovo is a name that leaps to mind immediately. Their one handed remote is slick and constantly improving, making it high on the list for many. It seems the company isn't content to just control other people's products anymore. Lenovo is now working on a smart TV that's set to release in early 2012. The TV will be internet connected and will likely turn into the rumored Lenovo Cloud. As far as other details go, it's all fuzzy - or more accurately, nonexistent. We'll certainly hear more by the time CES rolls around. Until then it's hard to tell if this could be a real contender on the market or just a one-off that falls completely under everyone's radar.